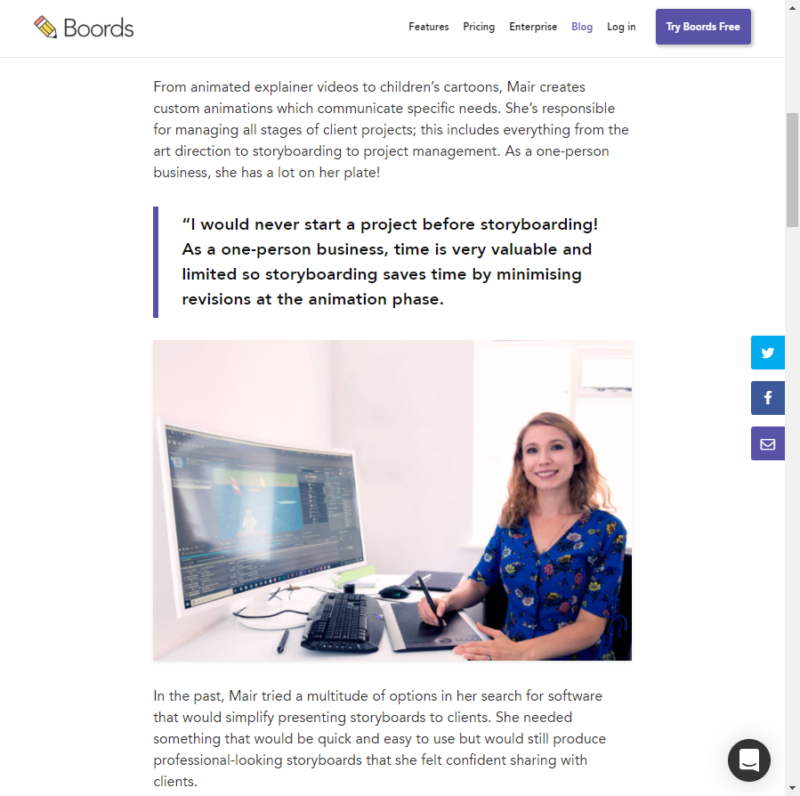 The lovely people at Boords interviewed me and wrote a case study about how my animation company uses their storyboard software in client projects. 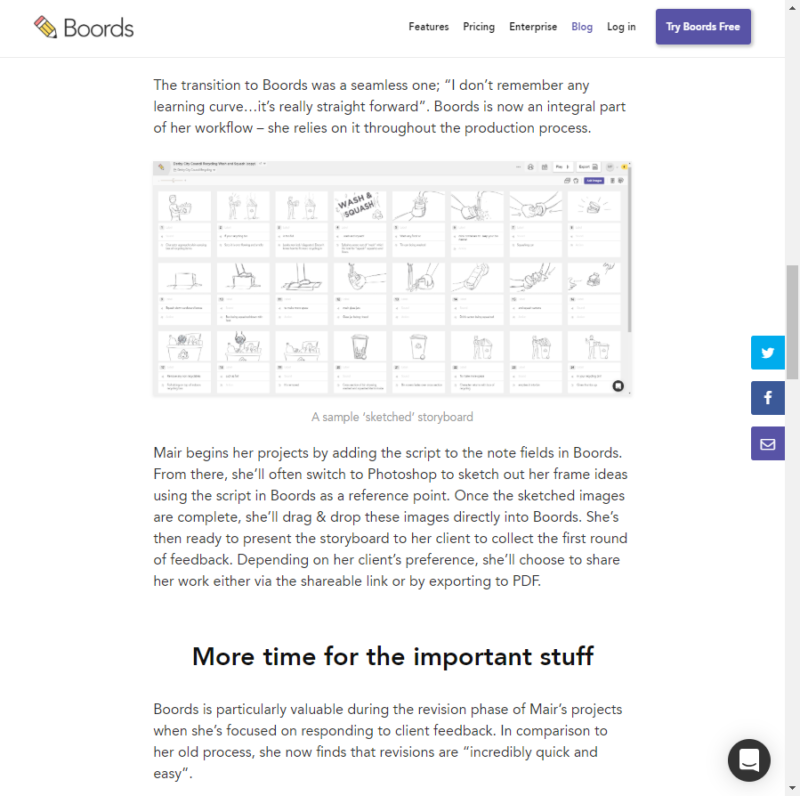 I’m a fan of Boords not just because their storyboarding software makes my work life easier but also because the app is created by one of my favourite animation studios, Animade. 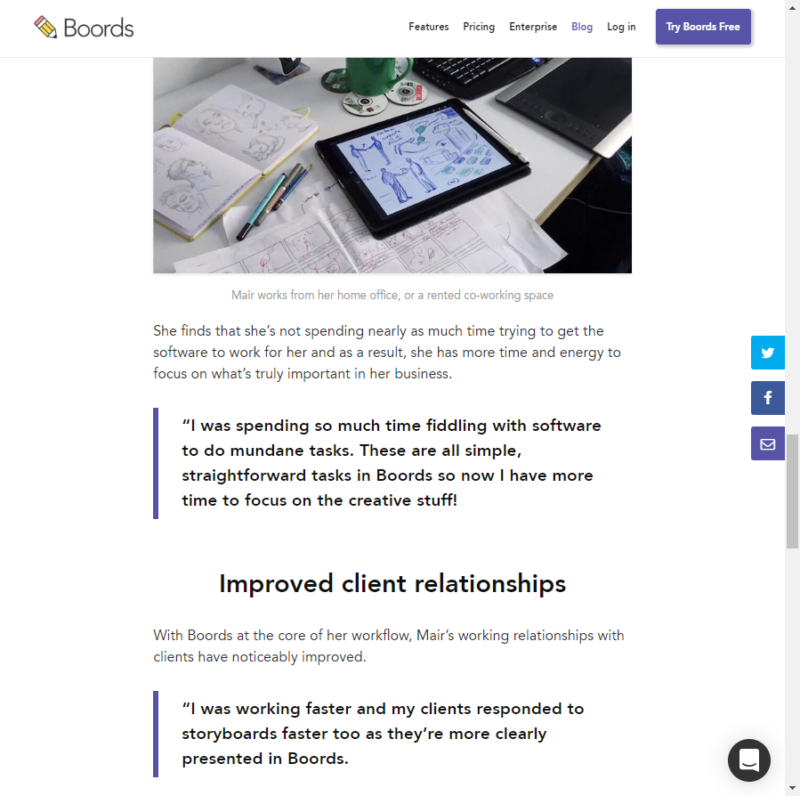 Read it on Boords website.